As you know, there are a few of us horses and ponies here. We are all thrilled to bits that the Spring is here, with its daffodils, violets and blackthorn blossom, not to mention early signs of our old friend Doctor Green. He’s a fickle man though! Once he starts to make himself known in March and April, everyone’s routine has to change and we all need something different. Let me explain. First of all, clearly, there’s me. 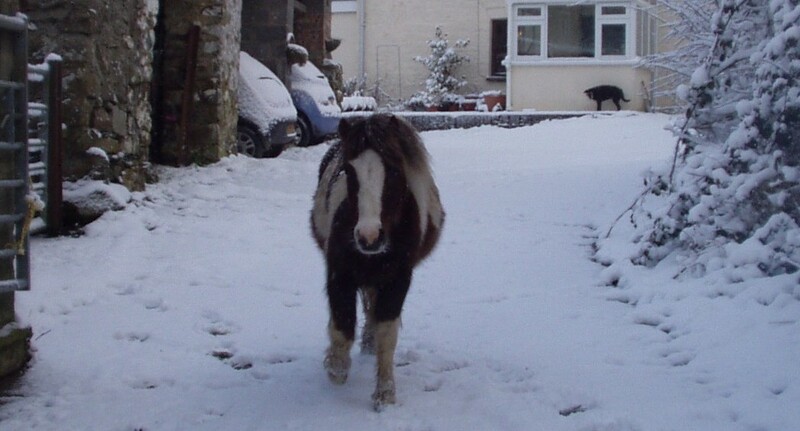 I am a smallish chap and prone to the dreaded laminitis, so I can’t go out at night until the temperature is over five degrees and I mustn’t have too much grass. 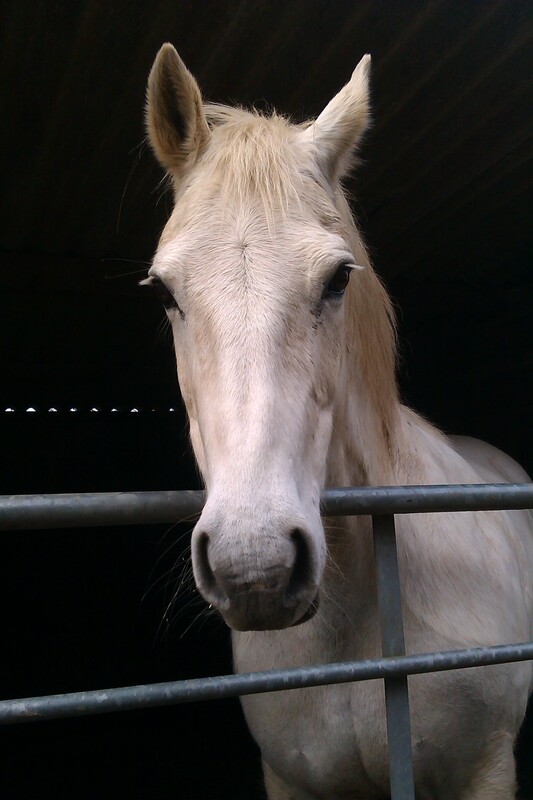 Then there is Tawny, who is Auntie Sarah’s pony. A couple of years ago, she went lame and had lots of tests and stuff. She has something called navicular disease and a problem with her coffin joints. She had LOADS of stuff done with her feet and a diet which was nearly stricter than mine! She has to have regular, light work and special shoes a bit like mine. 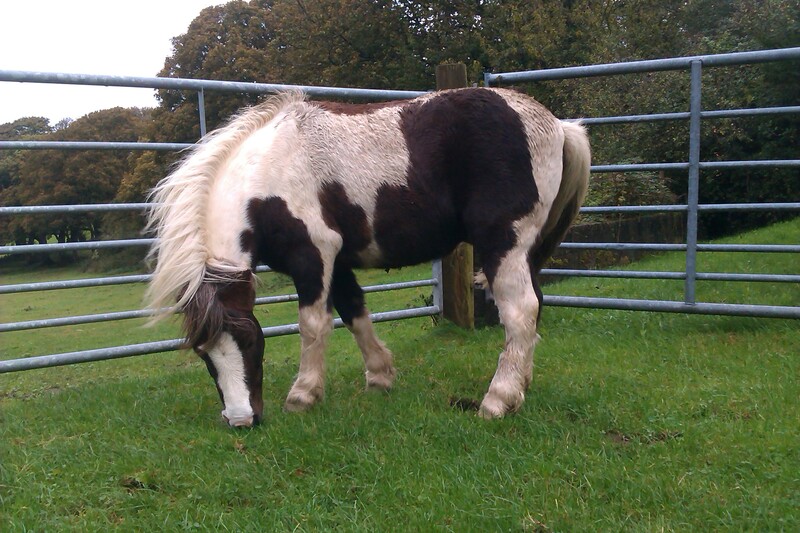 And she needs to be on a diet as well, because she only has to look at grass and she needs a longer girth. Her own sister is called Tabitha. I call her ‘silly sister’ because she is a bit loopy. She can worry pounds off her waistline in a single morning! Tabitha has something called a side-bone, which was discovered last year. She had a horrible summer resting her front foot and balancing on two because she had an abscess in a back foot at the same time. Now she is OK and in work with Tawny, but she must be kept on flat ground and needs a bit more grass than Tawny, but she suffers from separation anxiety if she is taken away from her. The baby of their family is their nephew Hooligan. 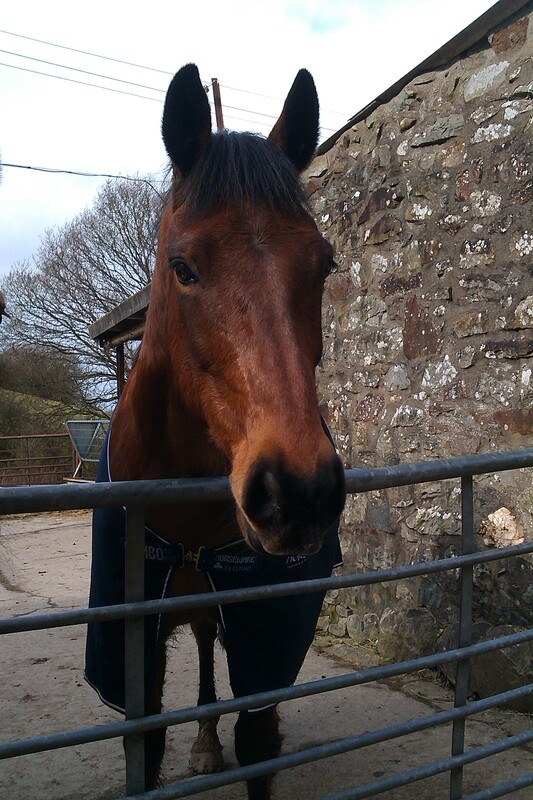 He is a bigger horse altogether, though he still thinks he is little bot sometimes. Although he is over six hands taller than I am, we share the same problem – fatness. So at the moment, he is keeping me company. He is a good mate, thought the mutual grooming which he adores can be something of a challenge for me. So you can see that managing all of us, on a limited choice of paddocks in a small Welsh valley has its challenges. A lot of time and effort goes into keeping us healthy and happy – aren’t we lucky? 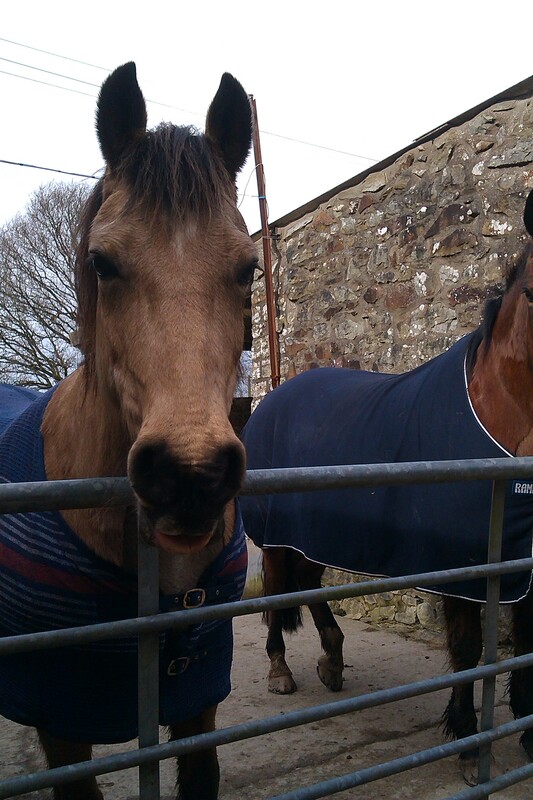 This entry was posted in Hints on horse care, Horse welfare, Life and Times and tagged Blackthorn, Daffodils, Doctor Green, equine welfare, horses and ponies, laminitis, Navicular, Paddock management, Sidebone, Violets on March 28, 2014 by sallylearoyd.